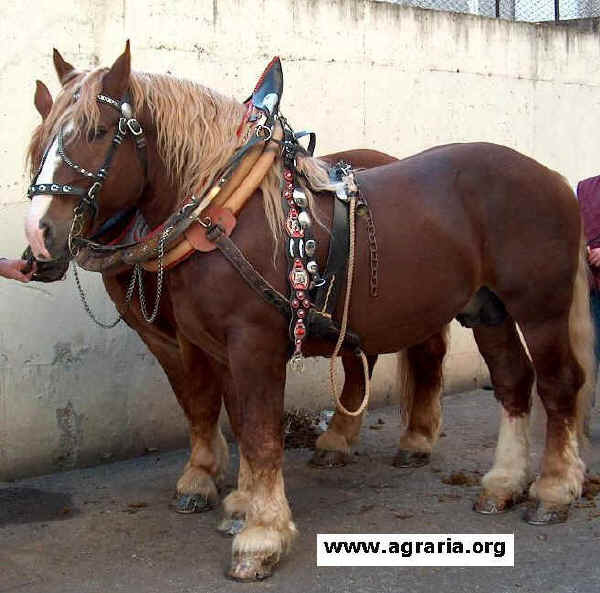 Draught horses, characterised by a heavy frame and great development of the muscles and the skeleton, are differentiated into slow heavy draught horses, represented by the Belga breed, and fast heavy draught horses, represented by the Italian Agricultural Horse. Thanks to its high speed of growth and the notable development of its muscle mass, these alter are also particularly appropriate for the production of meat. Characteristics: Rapad heavy draught, agricultural work, saddle. The breed is represented by a five-rung ladder enclosed in a shield. Weight: 700 - 900 kg.